Cardston, Alberta--(Newsfile Corp. - March 15, 2019) - American Creek Resources Ltd. (TSXV: AMK) ("American Creek") is pleased to report on drilling results from the late fall exploration program conducted on its 100% owned Gold Hill property located in the Boulder Creek drainage, a tributary of the Wildhorse River east of Fort Steele, British Columbia. 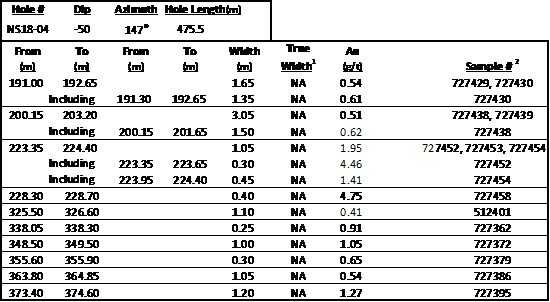 The preliminary program included four diamond drill holes on two sections totaling 2,087 meters of drilling. 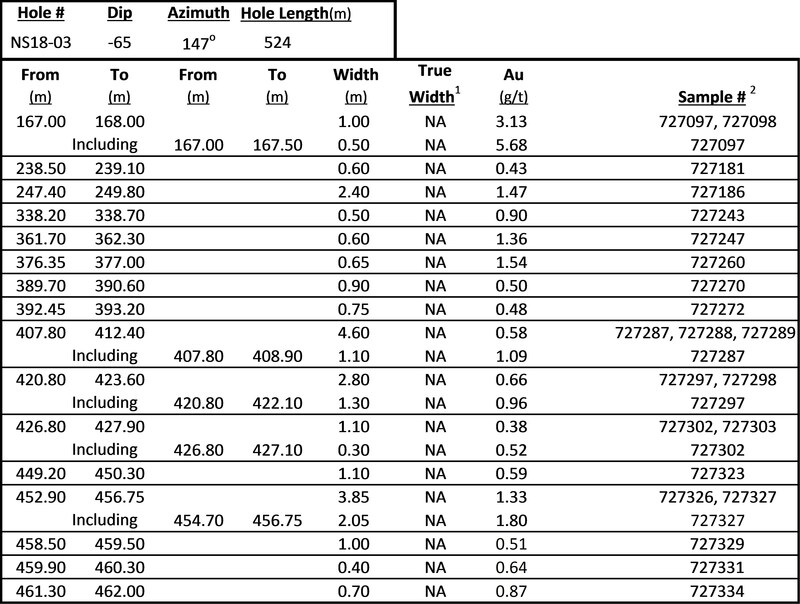 Nine hundred and twenty nine (929) drill core samples were analyzed. The property contains a significant portion of the Boulder Creek drainage, a tributary of the Wild Horse River which is considered to be one of the greatest placer gold rivers in the entire province. Gold rushes have taken place there since the 1860's that have yielded over 48 tonnes of reported gold, making it Canada's 4th largest placer producer. The majority of the gold recovered from the Wild Horse was located along a 6 km stretch between Boulder Creek (upstream) and Brewery Creek (downstream). From the point where Boulder Creek enters the Wild Horse River for a distance of 6 kilometers downstream, a minimum of 1.5 million ounces (45,655,215 grams) of placer gold was recovered between 1864 and the 1930's. 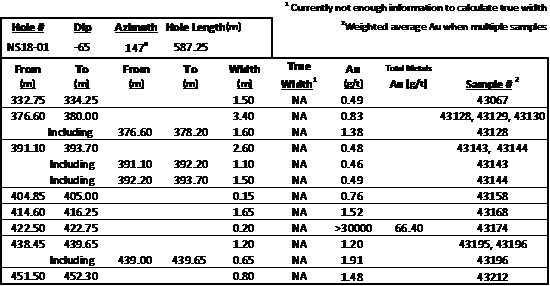 In addition, an undetermined amount of placer gold was sold in the United States during this period but no records of the amount are available. The Boulder Creek drainage is the logical source of the placer gold recovered from the Wildhorse River below. Early efforts by prospectors to locate the source of the Wild Horse placer gold led explorers up Boulder Creek to what is now called the Gold Hill property. 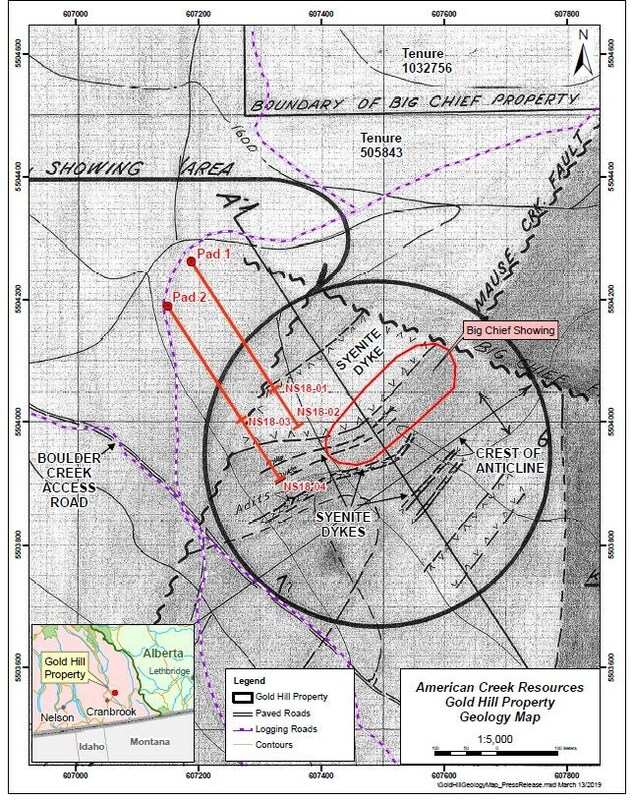 Although lode gold was first found in the area by prospectors in the late 1800's, the Gold Hill property has not been the subject of any systematic modern exploration and prior to this program, the property has never been drill tested. 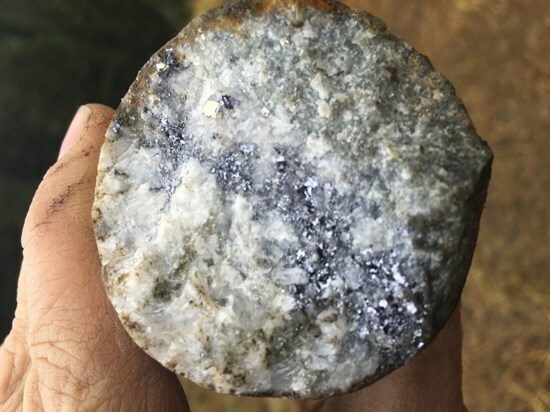 Historical work on the property has noted the presence of metallic gold in samples that is not detected by conventional ICP analysis. A skilled, well trained and experienced Prospector discusses this phenom in Assessment Report 27,173 (Dec. 29, 2004). Again, in AR 34,920, (July 2015) a P. Geo. explained the presence of metallic gold. The following is a direct quote from AR 34,920 by the highly experienced P. Geo. 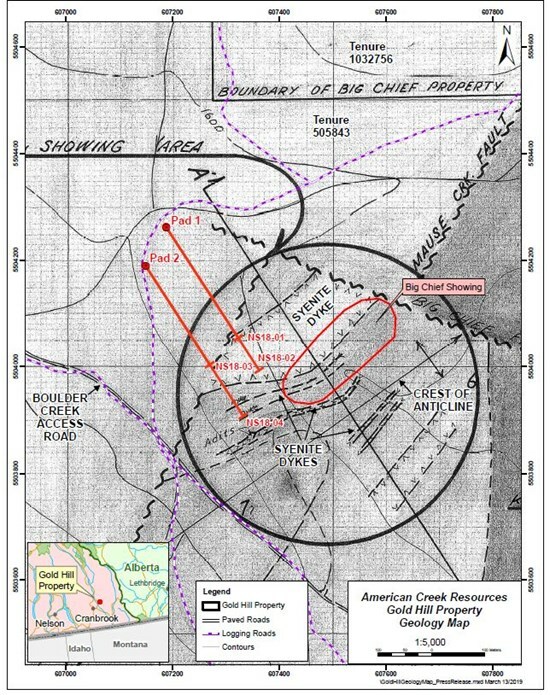 who mapped the property: "work by the original prospectors and miners on the property from 1898 to 1957 did a good job of exposing gold-bearing structures and the related sulphides and gangue minerals. This work demonstrated the course nature of the gold which is commonly visible to the naked eye." Frank O'Grady, P. Eng. and QP for the project stated: "This first look at the underground geological structure in the Big Chief area of the property is very encouraging. Not only are we seeing gold associated with multiple syenite dyke contacts, but we are also seeing gold showing up in the highly altered sediments. 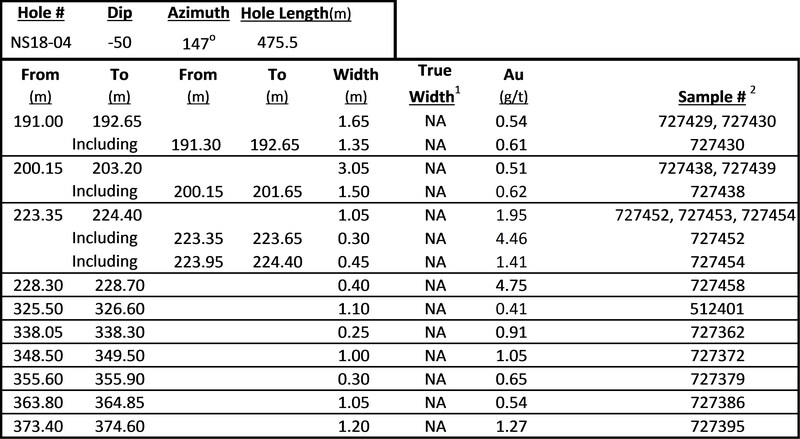 To have intersected gold in every hole, especially since we had no prior drill holes on the property to guide us, indicates the potential scope and scale of the property's potential going forward. We clearly have a large gold system we are dealing with here." Darren Blaney, CEO of American Creek stated: "This is a significant first step in unravelling the mystery of the potential source of the large quantity of Wild Horse river placer gold collected downstream. 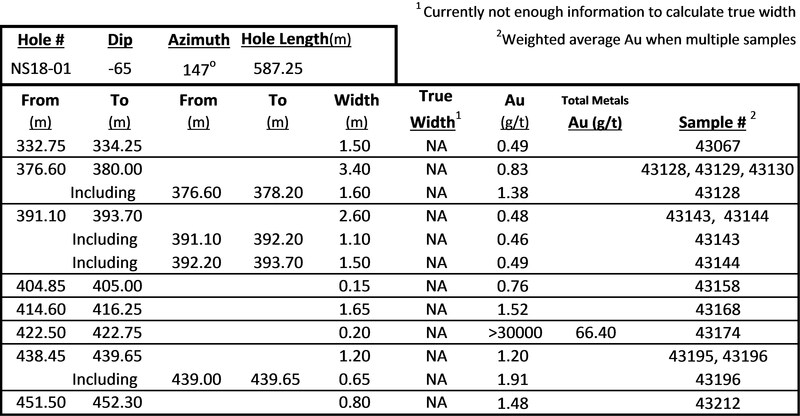 Not only are we seeing widespread gold mineralization on surface, but we now also have our first glimpse at what is going on underneath a portion of the property. This preliminary program will be a tremendous aid in guiding future work on the project." Frank O'Grady, P.Eng., is the Qualified Person as defined by National Instrument 43-101 for the Gold Hill Project and for this news release. Three of those properties are located in the prolific "Golden Triangle"; the Treaty Creek and Electrum joint venture projects with Tudor Gold (Walter Storm) as well as the 100% owned past producing Dunwell Mine.